So we have one last post coming up in the Puff Quilt Tutorial series. I hope you all are having great success in making yours! I’ve received emails from several of you making puff quilts and I can’t even express to you how happy it makes me that you’re trying it and loving it! 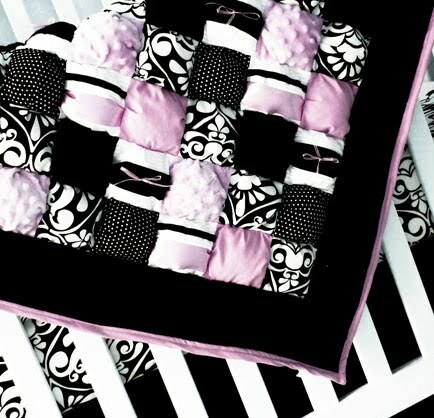 The first time I made a puff quilt I thought, wow! I could definitely do that again. After the second one, I thought, wow! I am never doing that EVER again. But the second one was twice as big and my machine kept breaking AND I didn’t have a walking foot. Plus my material calculations were off so I had to keep going back to the store. 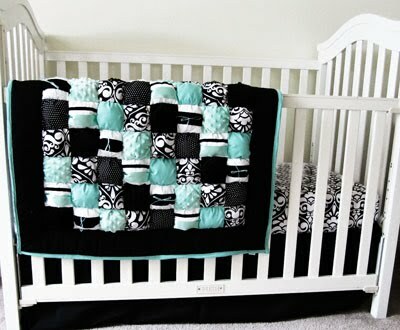 This quilt is now for sale in the Honeybear Lane Shop! Those are beautiful! I love the black in them! 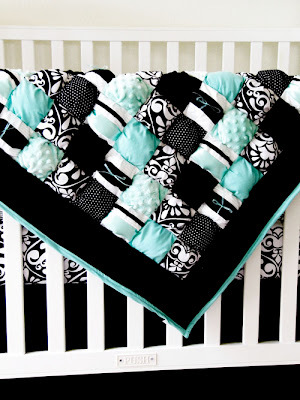 The quilt is beautiful! I awmondering where you got the black and white fabric. I need some fabric for comforter covers in my girls' room, and that would be perfect! Thanks in advance! 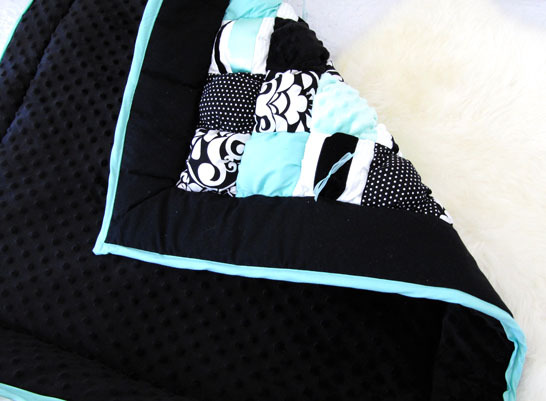 Love the turquoise puff quilt.